Oklahoma Children's Theatre is always looking for great people to join our family. We have high standards and expectations of the staff that we hire. Applicants must be mature, responsible leaders with a passion for building community, working as part of a team, and have a GENUINE interest in working with young people. All applicants must pass through a rigorous screening and selection process in order to receive a job offer which includes an online application, an in-person interview, multiple reference checks, and a criminal background check. All hired staff are required to attend training and orientation to learn and understand their responsibilities, our policies, and procedures, and prepare the summer program and activities. Oklahoma Children's Theatre is Oklahoma City's favorite summer camp. 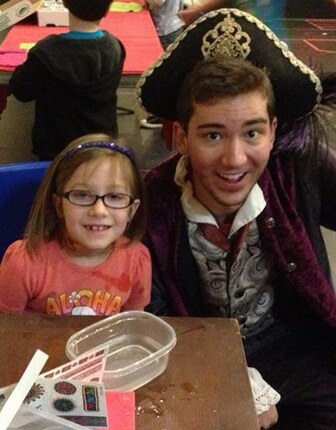 Our program (for kids ages 3-16) combines creativity, relationship building, safety, and good clean fun. Are you ready for an exciting challenge? Join our Summer Camp staff team. Teacher and Assistant applications for 2019 are now closed. Our Junior Assistant program is an internship styled program that allows involved young people to transition into effective staff members. This program is open to teenagers aged 15 years or older who have attended camps, classes, or other OCT programs in the past, and have volunteered at Oklahoma Children's Theatre before.